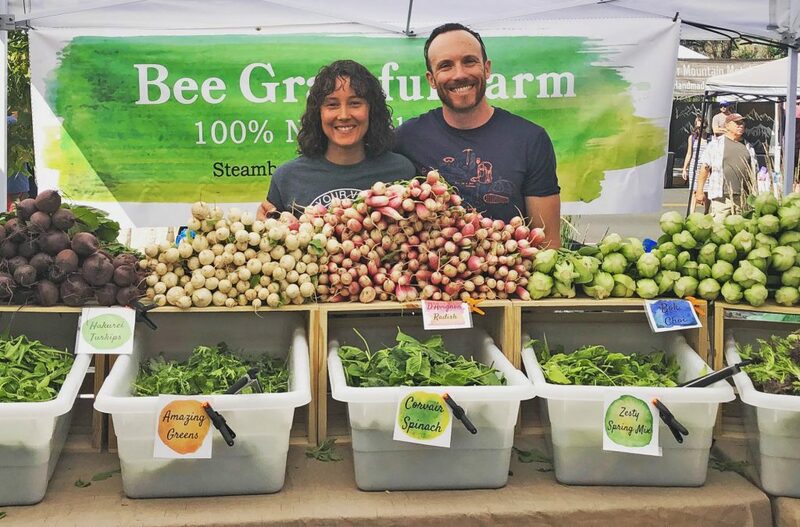 Jason Rodriguez, and his wife, Hethir, made sure Bee Grateful Farm was a regular at the Steamboat Springs Farmers Market last summer. 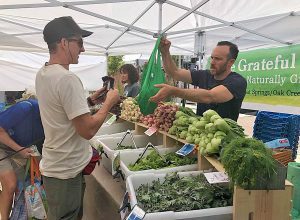 They plan to be back at both the Steamboat and Vail farmers markets, and the farm also is offering salad and full farm subscriptions. Editor’s note: This story has been updated to reflect that Elkstone Farm also grows outside its greenhouse in its Ag Forest, Pond Garden and Fruit Forest. STEAMBOAT SPRINGS — Located just 10 miles from Colorado Highway 131, the Bee Grateful Farm lays hidden beneath several feet of melting snow, and where there isn’t snow, there is mud. Welcome to farming in Northwest Colorado. 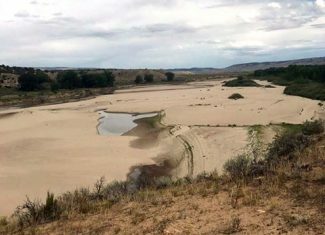 The couple moved to the Yampa Valley about four years ago and purchased 50 acres between Steamboat Springs and Oak Creek. Hethir is a herbalist and nutritionist, and Jason is a chef. The idea of starting a farm began to take root shortly after they moved here. 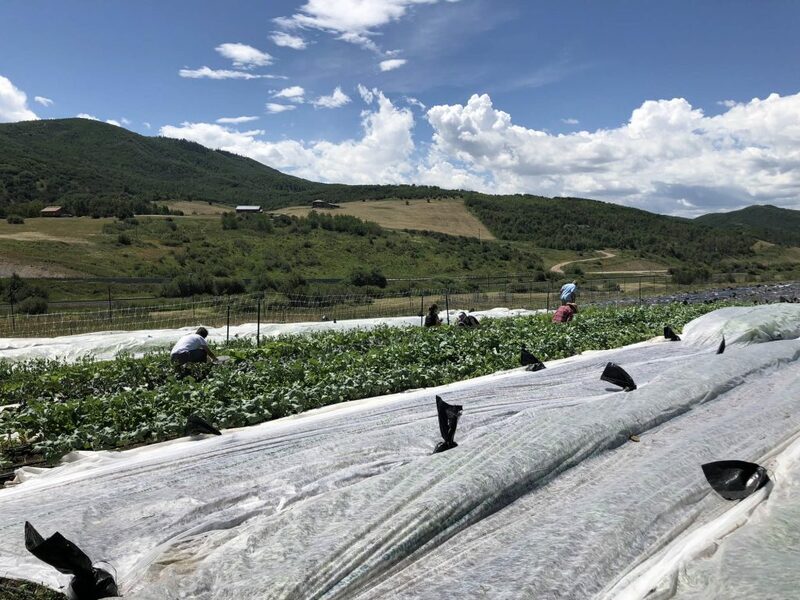 Bee Grateful Farm, located 10 miles from downtown Steamboat Springs on the way to Oak Creek, started providing greens and other produce last summer. The farm is an all-natural vegetable, flower and herd farm. Workers cover crops to reduce the impact of the high-mountain sun and pests. They started small — farming on just over an acre last summer and using a 1,500-square-foot greenhouse to grow what they wanted without the farming machinery used on larger farms. Jason said they plan to expand the greenhouse by 3,000 square feet in the fall, and they also are looking to increase farming operations by one acre. Rodriguez, and his wife, Hethir, were regulars at the Farmers Market in Steamboat Springs last summer. The couple has a 4-year-old son Tobias. To meet these challenges, the couple has gone to some extremes. They start their tomato crop inside their house. They build tall fences around their crops to keep the deer out, and they cover their vegetables to protect them from pests, sun and wind. The farm does not use pesticides, and it is in the process of gaining its organic certification. Bee Grateful Farm produces a wide variety of greens ranging from kale to arugula, along with herbs, including thyme, basil, oregano and rosemary, and fruit. But Hethir said the one thing she is obsessed with is honey, and while the farm isn’t quite ready to produce homegrown honey products, it is currently working with a local honey producer to create tasty caramels and lollipops. 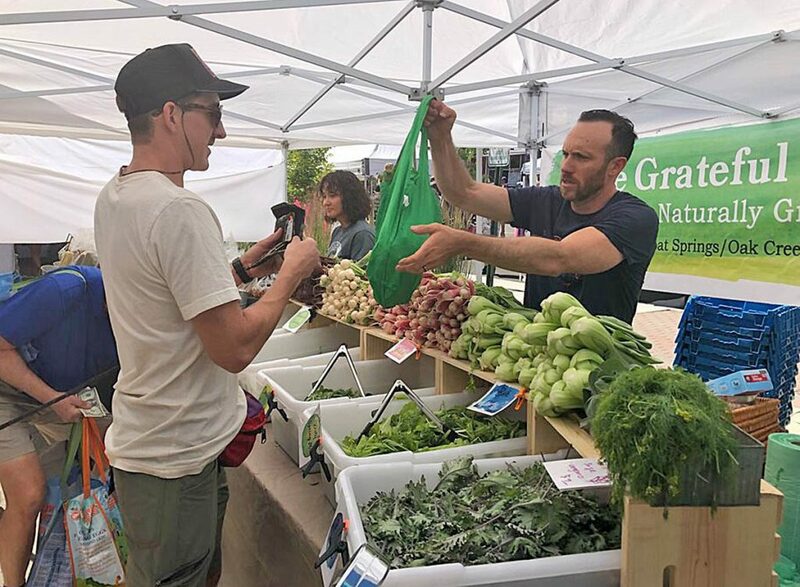 The vegetables on the farm have already found their way into several Steamboat Springs restaurants and can be purchased at the Steamboat and Vail farmers markets in the summer. However, Jason said the best way for people to ensure they have locally grown vegetables on their tables is to sign up for one of the Be Grateful Farm’s subscription. The farm offers half-plate ($199) and full-plate ($299) salad options, and there is also a full-farm subscription ($499). Subscriptions include enough vegetables for salads, cooking and smoothies. In addition to food, the farm also offers flower subscriptions. For $180, the farm will deliver a bouquet or flowers picked from the gardens on the farm once a week. All subscriptions run for 12 weeks. “Subscriptions are a great way to support community farms like this,” Jason said. “People can sign up for the program, and starting in July, we have four drop-off options, and they get boxes of their produce dropped off every single week the rest of the summer. The last day to sign up for subscriptions is April 30. Most of the vegetables will be planted the first week May, and deliveries will begin in early July. 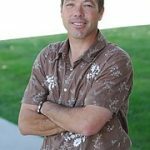 To start a subscription, visit beegratefulfarm.com or call 970-819-8841.